A three-year-old boy was among the occupants of a house which was targeted in a petrol bomb attack in the early hours of this morning (Friday). A relative said the child “was scared out of his wits”. 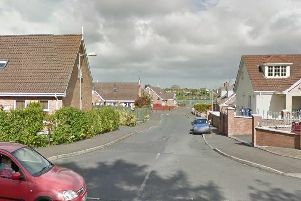 A man and woman also escaped uninjured but were left shocked after the attack on their Granville Road home in Portadown. Sergeant Robert McMurran said the incident took place around midnight and that some scorch damage was caused to the property. A 27-year-old man was arrested and questioned. He has since been released on bail pending further inquiries.